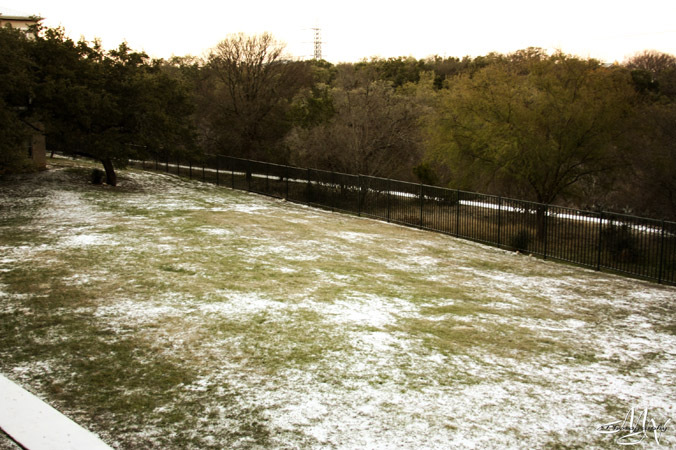 Texas Snowpocalypse 2011!! It snowed!! In south central Texas! The whole region is either shut down for the day or opening late. 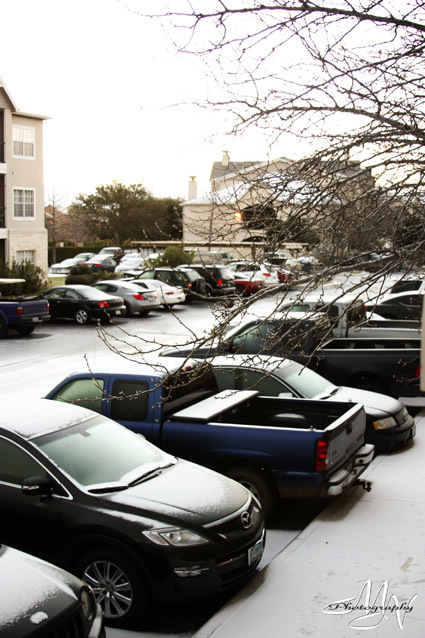 Here’s a look at how much is on the ground here in San Antonio. Now, before you Northerners laugh at us and call Texans wusses, let me tell you something – you do NOT want Texans driving out on the road in any “inclement” weather conditions. Really. They’re not equipped for it. We don’t have snow tires. We don’t own ice scrapers. Oh, and they panic when it rains. Heaven forbid there be ice and/or snow on the ground. People are hunkered down in their homes with the heat blasting and fireplaces roaring, wishing they had gone to the store before the “storm” hit to stock up on water and other supplies. No joke. Normally by this time of day, the parking lot at my complex is empty of cars. Since my commute involves driving through several different cities and nothing but highway in between to get to work, I opted to wait til the sun warmed things up a bit and hopefully start the melting process. I’m not crazy enough to deal with the drivers who are on the road and don’t know what they’re doing. Brutus didn’t know what to think of the snow. 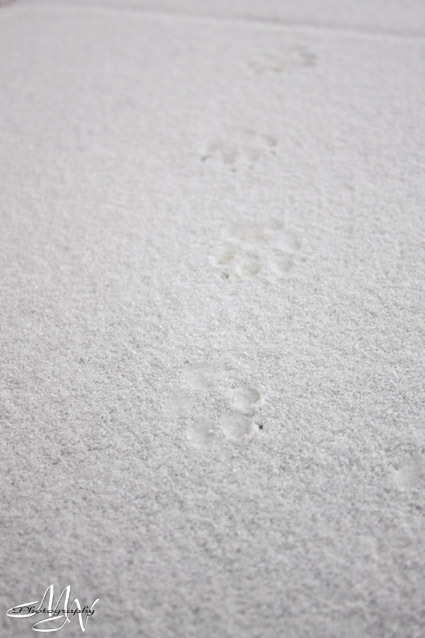 He kept sniffing and pawing at it but it definitely didn’t seem to bother him one bit – he wanted to stay out and explore!